Get ready for the shock rock show of the century! 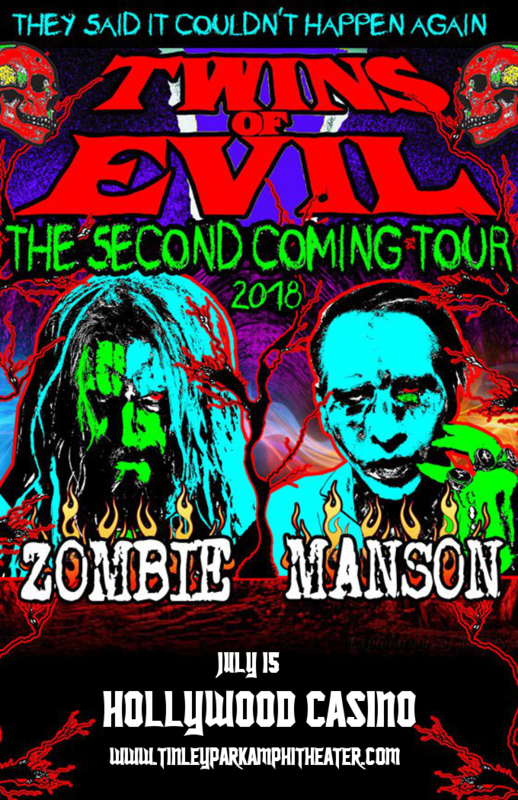 Rob Zombie and Marilyn Manson are joining forces for a North American tour – coming to rock the Hollywood Casino Ampitheatre on Sunday 15th July 2018	! Grab your tickets NOW to be sure of your place!! Get ready to hear all the songs from “Heaven Upside Down,” and, if rumors are to be believed possibly some new material from Rob Zombie!! What are you waiting for?? Grab those tickets TODAY! !